Video: Illinois Gov. 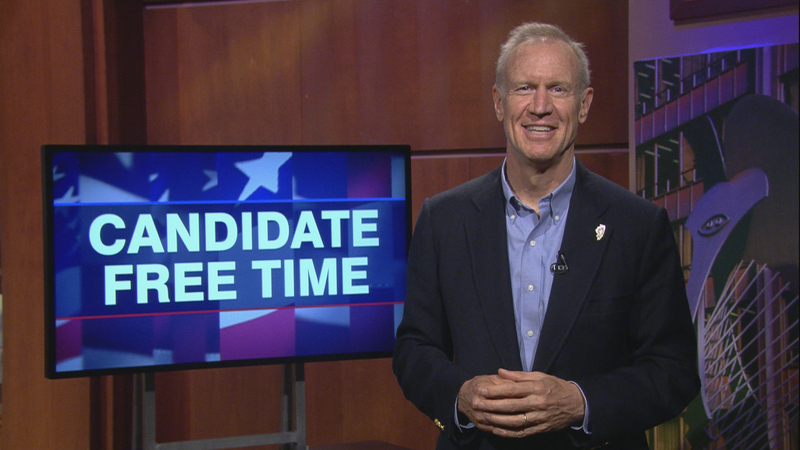 Bruce Rauner tells voters about his platform. Learn more about Candidate Free Time. The governor is the chief executive of Illinois and oversees state agencies and departments. The governor is responsible for executing laws passed by the General Assembly. I’m Governor Bruce Rauner. Four years ago, you sent me to Springfield to clean up state government. Education reform, with record levels of K-12 and early childhood funding, greater equity in school funding, and more school choice. Healthcare reform that improved access to quality care for Illinoisans, saved taxpayers hundreds of millions of dollars, and makes us a national leader in behavioral health. Groundbreaking criminal justice reform, reducing recidivism and increasing public safety by addressing the root causes of criminal behavior. And we’ve added over 210,000 new jobs in Illinois since I became governor. But we need four more years to finish the job of making state government truly work for the people of Illinois. My opponent wants to raise taxes to cover $11 billion of his proposed new spending. But we’ve done that for decades in Illinois and it’s never worked. Reduce property taxes by giving voters direct control of costs of local governments. Reduce the income tax by getting pension reform done. Grow more jobs by cutting red tape on businesses. And get term limits and fair maps on the ballot through the legislature. These are all changes that Democrats in other states have already done. This election isn’t about Republican vs. Democrat. It’s about the people of Illinois vs. our corrupt political insiders. It’s about having the courage to do what’s right for our children and grandchildren. I humbly ask for another four years to finish the job we started, to save our state.